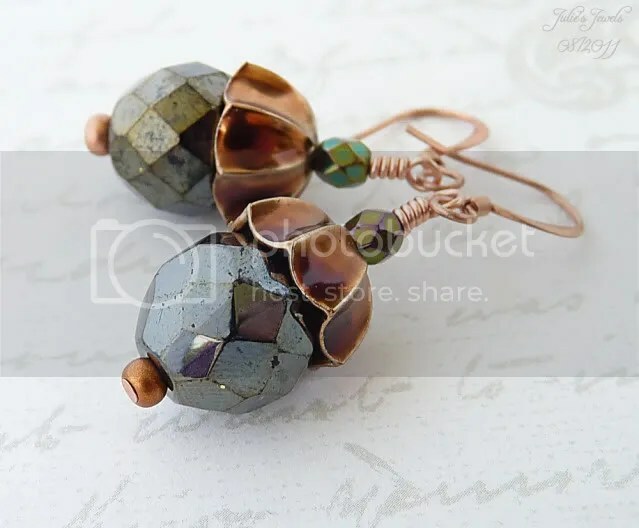 So the most recent listings in my studio are a couple of earrings with Brass and Copper components. Both sets have stunning little matte seed beads. 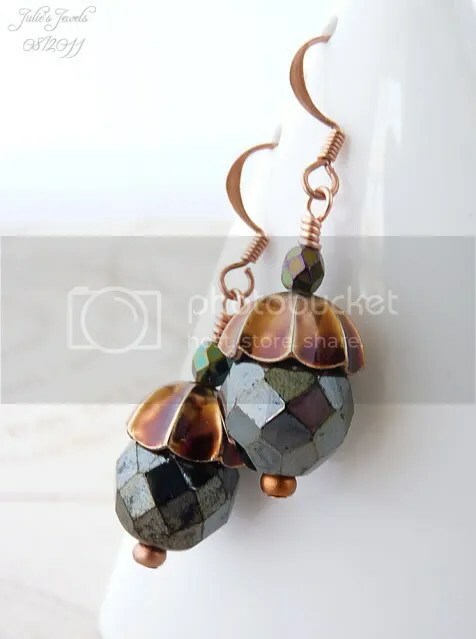 Do you see these in the jewellery? 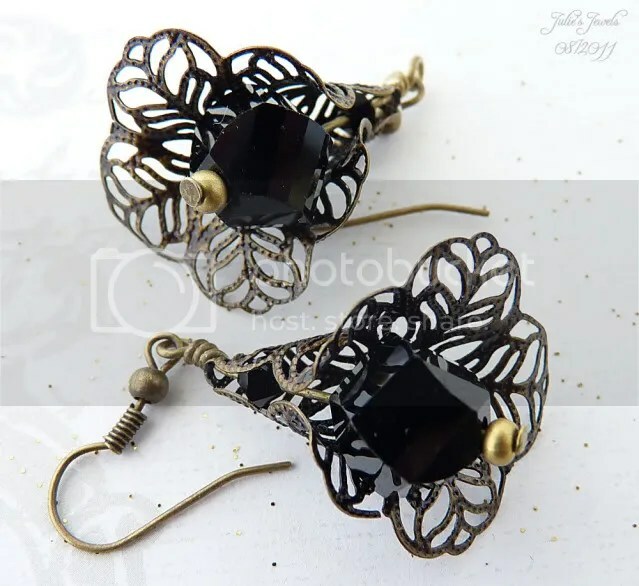 This entry was posted on August 13, 2011 at 8:57 am	and is filed under Earrings, Listings - ArtFire. 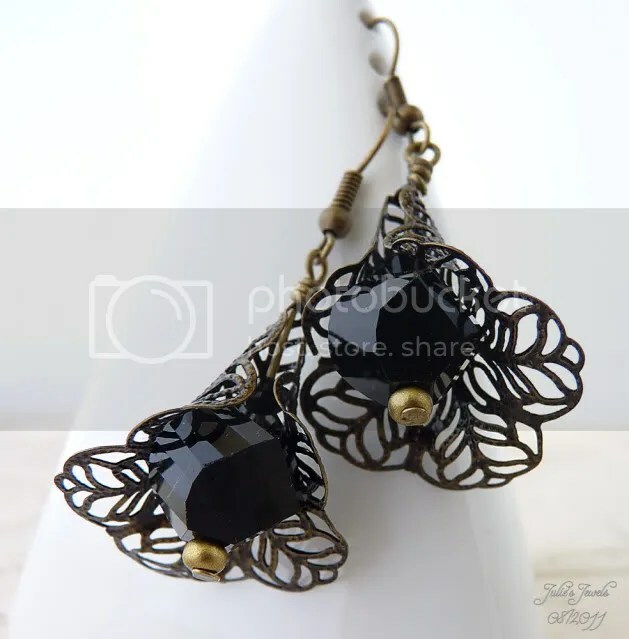 Tagged: australia, black, brass, copper, Earrings, gunmetal, julies jewels. You can follow any responses to this entry through the RSS 2.0 feed. You can leave a response, or trackback from your own site.